6.1.How to manage Site Title, Logo, Tagline and Site Icon? 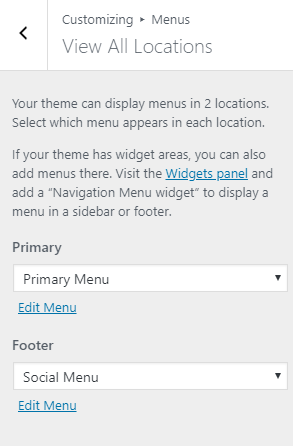 6.2.How to manage Theme Options? 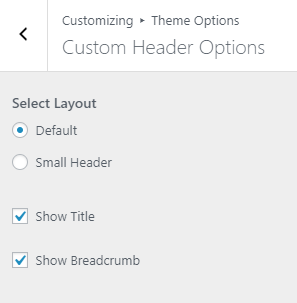 6.3.How to manage Custom Header Options? 6.4.How to manage Layout Options? 6.5.How to manage Blog Options? 6.6.How to manage Breadcrumb Options? 6.7.How to manage Footer Options? 6.8.How to manage Header Image ? 6.10.How to change Menu Locations? 8.How to manage Homepage Settings? 9.How to manage Additional CSS? After you download your theme from Theme Palace you can choose either of the approaches given below to install your theme. Click Browse Locate travel-gem.zip Theme in your computer. Select travel-gem.zip and click Install Now. Unzip travel-gem.zip to your Desktop. Using an FTP client to access your host web server, go to /wp-content/themes/ and upload your new copy of Travel Gem Theme. You will see the Travel Gem theme in the list. The demo is divided into different section as shown in the image below: All the sections is setup using the widget that is bundled within the Page Builder by site Origin. To set up as in the demo go to Admin panel > Pages > All Pages > Home . In home page edit screen at right side you will see a box Page Attribute . Within Page attribute you will find the option templates . 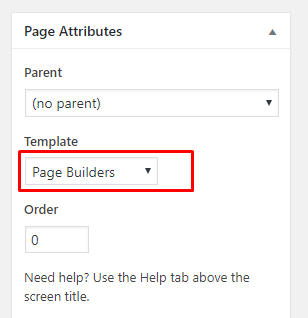 Now chose Page Builder from the dropdown in the option template and save the page. Note : You should place one row for one widget . Set Row layout to 1 and finally click on insert button. You can find all the available Surya Chandra Widgets in Add Widget -> Surya Chandra Widget. Within Edit Row you can see new panel where you can change the row’s attributes from options available to your left like Attributes, Layout ,Design. Also you can add background image, change colors, layouts, use padding and margin, give class and id etc. Check the following image. 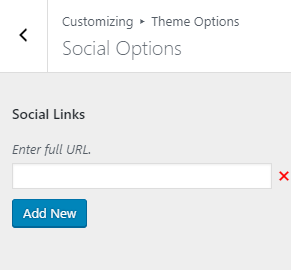 Top Header Section:To display the social links at the top left go to Admin Panel / Customize / Theme Options / Social Options and add social links. Top right section is setup from Admin Panel / Appearance / Customize / Theme Options / Header Options. Refer below How to manage Header Options and Social Options? for more details. Slider section : This section is setup using the default widget i.e. Siteorigin Slider . Search Section : This section is setup using widget Travel Gem: Trip Search. Refer below How to manage theme available widgets? for more detail. Popular Destinations Offered Section: This section is setup using widget Travel Gem: Destinations Grid. Refer below How to manage theme available widgets? for more detail. Welcome to Travel Gem Pro Section: This section is setup using widget Travel Gem: CTA . Refer below How to manage theme available widgets? for more detail. Why Choose Us section: This section is setup using widget Site origin: features. It is the defalt widget from the site origin plugin. Refer below How to manage theme available widgets? for more detail. Latest Updates Section: This section is set up using widget Travel Gem: Latest News . Refer below How to manage theme available widgets? for more detail. Latest Trip Section: This section is set up using widget Travel Gem: Latest Trips. Refer below How to manage theme available widgets? for more detail. About Us: This section is set up using widget Travel Gem: Special Page. Refer below How to manage theme available widgets? for more detail. Our Destination Section: This section is set up using widget Travel Gem: Trips Filter. Refer below How to manage theme available widgets? for more detail. Featured Trip Section: This section is setup using widget WP Travel: featured. note: For this widget you must activate the pugin WP Travel. Refer below How to manage theme available widgets? for more detail. Trips By Type Section: This section is set up using widget WP Travel: Trip Type. For this widget you must activate the pugin WP Travel. Refer below How to manage theme available widgets? for more detail. Footer Widget: This section is set up placing the required widget in Footer widget area Footer 1, Footer 2, Footer 3 and Footer 4 . In the demo the widgets are Text , Recent Posts , Gallery and recent Posts. Refer below How to manage theme available widgets? for more detail. 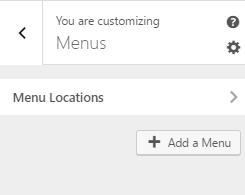 Footer Menu: This section is managed by going to Admin Panel > Appearance > Customize > Menus > Menu location. 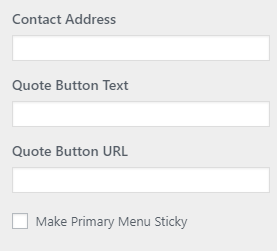 Create the menu and assign that menu to the footer menu location from here..Refer below How to manage Menus ? for more detail. 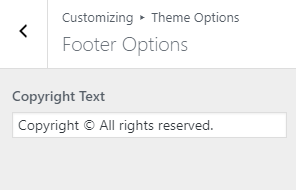 Footer Section: This section is managed by going to Admin Panel > Appearance > Customize > Theme Options > Footer Options .Refer below How to manage Footer Options ? for more detail. Several custom widgets are available in the theme. Title: It changes the title of the widget. Sub Title: It changes the sub title of the widget. Primary Button Text: This option allow to change the primary button text. Primary Button URL: This option allow you to enetr the primary button URL. Select Content: This option allow you to chose the page/post to link the button to that particular post/page. Secondary Button Text: This option allow to change the secondary button text. Secondary Button URL: This option allow you to enetr the secondary button URL. Settings: You will find following option under this setting. Select Layout: This option allow you to chose the layout(design) for CTA widget. Title Color: This option allow you to change the title color. Subtitle Color: This option allow you to change the sub-title color. Background Color: This option allow you to change the Background color of the widget. 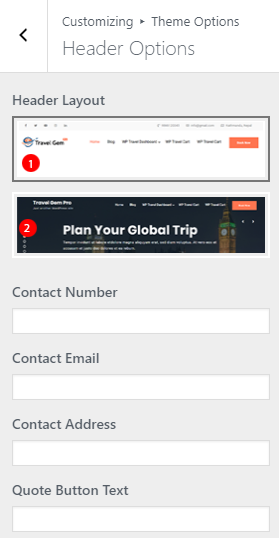 Note:To use this widget, first please make sure ‘WP Travel’ plugin is activated and products are added. Title/subtitle Alignment: This option allows you to chose the alignment of the title/subtitle for the widget. Select Destinations: This option allows you to chose the destinations. The destinations listed here comes from the destinations that you have entered using WP Travel plugin from Admin Panel / Trips / Destinations. Number of Destinations: This option allows you to limit the no of destinations to display. Number of Columns: You can manage the no of column through this option. Sub Title: It changes the subtitle of the widget. Title/subtitle Alignment: It allow you to chose the alignment of the title/subtitle. Select Category: This option allow you to chose the category that you prefer to display in this section. Number of Posts: It allow you to enter the no of the post that you want to display. Featured Image: This option allow to upload the featured image . More Text: This option allow you to change the More text button text. Excerpt Length: This option allow you to control the excerpt length. Explore Button Text: This option allow to change the Explore Button Text. Explore Button URL: This option allow to change the Explore button URL. Select Trip Type: This option allows you to chose the trip type. The destinations listed here comes from the trip type that you have entered using WP Travel plugin from Admin Panel / Trips / Destinations. Number of posts: It changes the title of the widget. Featured Image: This option allow to select the sizes of the images. Note:To use this widget, first please make sure ‘WooCommerce’ plugin is activated and products are added. Select Product Category: You can select the product category that you want to display in Product Carousel section. Number of Products: You can manage the number of product to display. Setings: Under this section you will be able to manage following options. Enable Autoplay: This option allow you to enable/disable autoplay option. Transition Delay: You can manage transition delay from this option. Sub Title : It changes the subtitle of the widget. Select Product Category :You can select the product category that you want to display in Product Carousel section. Title/subtitle Alignment: It allows you to chose the alignment of the title/subtitle. Select Category: This option allows you to chose the category that you prefer to display in this section. Number of Posts: It allows you to enter the no of the post that you want to display. Featured Image: This option allows to manage the image size. Image Width: This option allows to set image size. Disable Date: This option allows you to enable/disable the date in the displayed post. Select Page: You can chose a special page to display. Featured Image: This option allows to choose image size. Image Alignment: This option allows to choose image alignment. Filter Type: You can chose the filter type from here. Select Trip Destinations: This option allows you to select the destinatio. The destination listed here comes from the destination list that you have entered using WP Travel plugin from Admin Panel / Trips / Destinations. Select Trip Types: This option allows you to chose the trip type. The trip type listed here comes from the trip type that you have entered using WP Travel plugin from Admin Panel / Trips / Trip Type. Select Trip Activities: This option allows you to chose the Activities. The activities listed here comes from the activities list that you have entered using WP Travel plugin from Admin Panel / Trips / Activities. Number of Trips: This option allows you to limit the no of Trips to display. Go to the Admin Panel > Appearance > Customize for managing the customizer. Header Layout: Here are different layout options from where you can chose on layout as per your requirement. Contact Number: It allow to change the contact number. Contact Email: It allow to change the contact Email. Contact Address It allow to change the contact address. Quote Button Text: It allow to change the Quote button Text that appears in the header. Quote Button URL:It allow to change the Quote button url. 2. 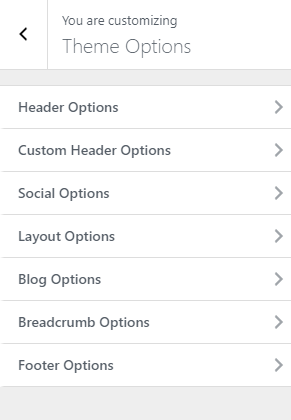 From Theme Options, you will see Custom Header Options. Select Layout: You can select the layout for the header using this option. Show Title: This option allows you to show/hide the title that appears on the page header. Show Breadcrumb: This option allows you to show/hide the breadcrumb. Social Links : This option allow you add the social links. Full URL should be entered for social links. 2. From Theme Options, you will see Layout Options. Image in Archive: This options is for archive Image. Select option that suits your site. 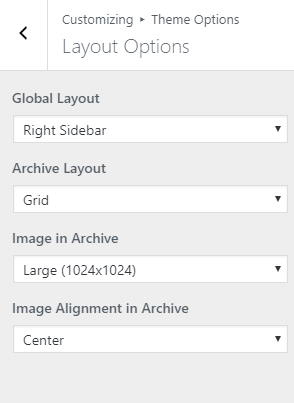 Image Alignment in Archive: This option is for changing the image alignment in archive. choose the available options from drop down. Here you can see different options. 2. 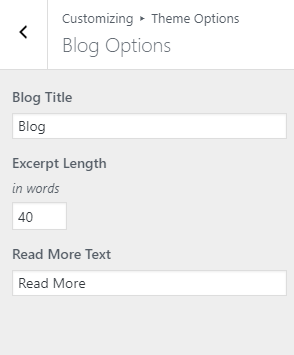 From Theme Options, you will see Blog Options. 2. 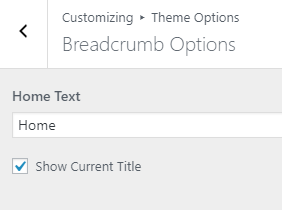 From Theme Options, you will see Breadcrumb Options. Home Text: You can change the home text from here. Show Current Title: This option allows you to enable/disable the current title. 1. From Customize section, go to Header Image ..
2. 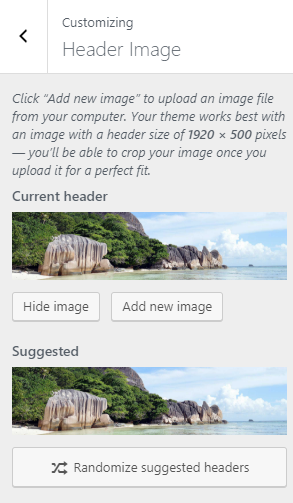 From Header Image Options, you will see Current Header & Suggested Options sections. Suggested: You can even use the suggested headre image if you dont want to uploed other image. Select the menu for Footer Menu. 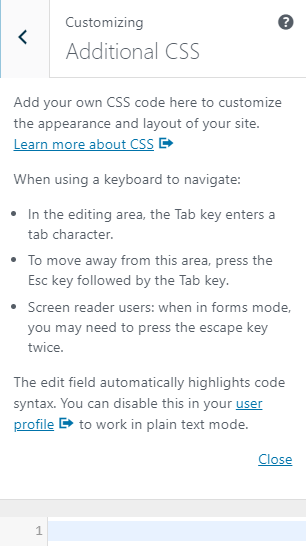 Footer menu appears on the footer section. Choose the Social Menu, which shows the social links title as a menu. 1.From Customize section, go to Homepage Settings. 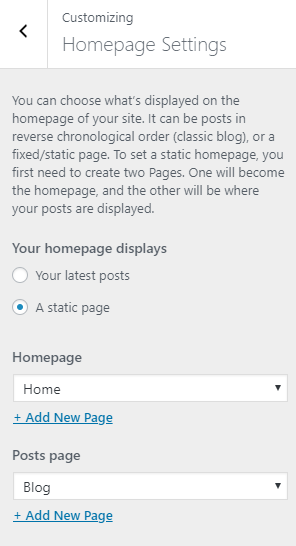 2.From Homepage Settings, You will be able to set any page as A Static page and you will find Your Latest Posts page option as well. Using an FTP client to access your host web server, go to /wp-content/themes/ and upload your new copy of Travel Gem Theme which shall replace the old files.